These are just adorable Shellye! Any girl (big or small!!) would love this! OMG! These projects are beyond cute! Any birthday girl wish! I would wear that crown myself! Pinned all of them! Super cute projects! I just love the crown and all of the details! These colors and patterns are stunning! I pinned the treat boxes - love them! The straw jar is great - love the Washi!!! I pinned the straw jar--love the colors! That is awesome!! So festive!! I pinned these beautiful birthday decorations. THANK YOU for sharing your lovely inspiration!!! how fun is that it would be perfect for my little princess. How cute! I follow on Instagram. So stinking cute - and so Shellye, her signature style is over these items. Love it all SOOOOO much!!! I shared this on facebook - how could I not???? Shellye you're the best!! 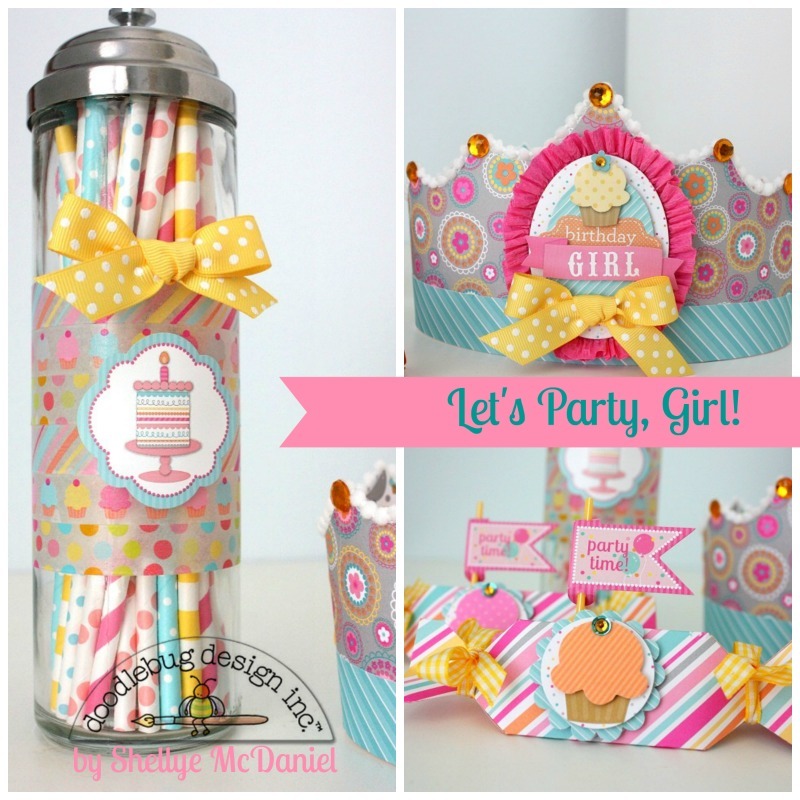 I adore your party projects! Pinning them as soon as I'm on my computer!